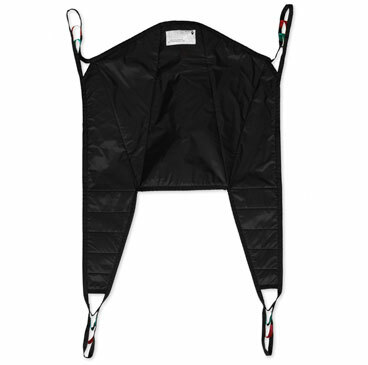 The Double Loop High-Back Sling is designed to be used with any loop-style patient transfer lift. 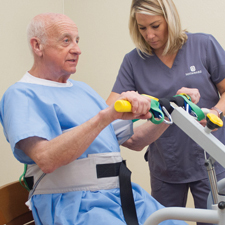 The slings stretch slightly to fit the needs of most patients and are clearly labeled to guide head and leg positioning. Color-coded for quick identification: The blue sling is our smallest size, then maroon, green, then black (our largest size, supporting up to 800 pounds). Launder up to 300 times. 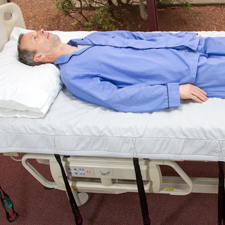 Reusable Repositioning Slings lie flat on the bed and are designed to make it easy to move, or turn a patient, or resident. Composed of breathable material, the sling can remain under the patient without disrupting comfort. 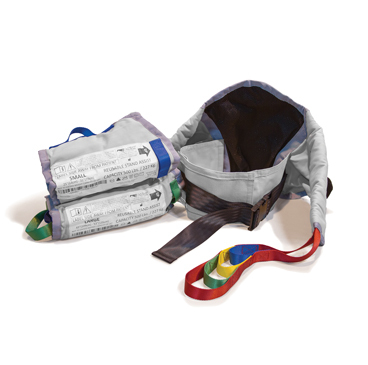 These slings are clearly labeled and designed to reduce the risk of infection and contamination. 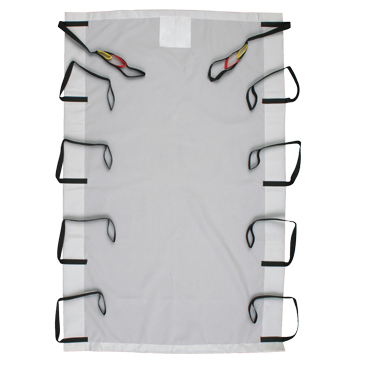 Available in two sizes, these slings can be laundered up to 300 times. 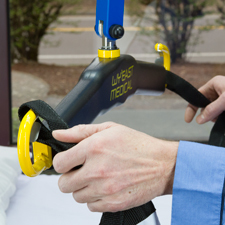 This wipeable high-back sling is designed to be used with any loop-style patient transfer lift. The slings stretch slightly to fit the needs of most patients and are clearly labeled to guide head and leg positioning. 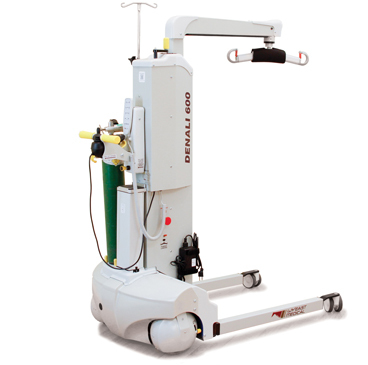 Is great for use in car extraction with our Denali 600. Launder up to 300 times. 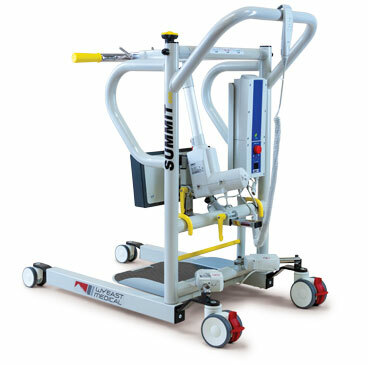 Compatible With: Denali 600 and any lift utilizing a loop-style sling.